1, the machine uses advanced materials imported overclocking limit, which can reflect the material and then the vacuum chamber material level situation. 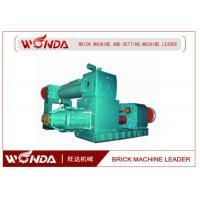 But also can achieve the production line control, lay the foundation for automated vacuum extruder. 2, the main body of high quality welded steel, with a reasonable structure, good rigidity, beautiful appearance, while a plurality of the inspection window, to facilitate maintenance. 1. In the spindle and the gear output shaft concentricity is not high, the situation is also better engagement, combined with three bearing spindle shaft structure ensures excellent transfer effect. 2. The machine reamer wear-resistant materials, beyond its life 4-7 times the normal reamer; lead (pitch) has been scientifically arranged, with "micro-pressure-feeding, high pressure extrusion" function, can increase extrusion pressure and improve work efficiency. materials are easy to find. C. Durable. 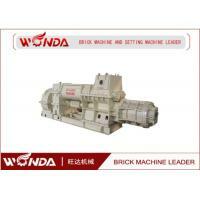 Spare parts of this automatic brick making machine are made of wear-resistant steel which is dealt with quenching heat treatment and wear-resistant spray painting craft. 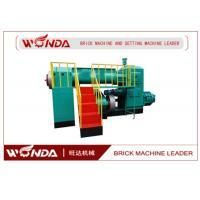 The body of the machine is made of high quality carbon steel. The whole machine is durable and has a long working life. D. High-quality bricks. 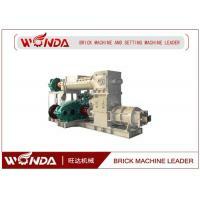 This automatic brick making machine has high extrusion pressure making the mud strip firm and low moisture content and the high vacuum degree decreasing the moisture content of the green bricks. 5. 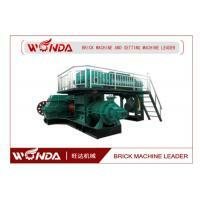 Large Capacity The capacity of this series of brick machine can reach 25000 pcs/h at most. It is used in mass production. E. Less electric waste. . It uses end-flow coupling which can avoid useless vibration. F. Easy to operate. This machine works fully automatic and saves labor at the same time. 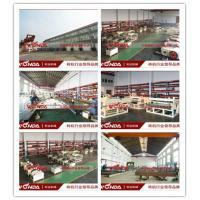 There is no worry about the difficulty of running the machine.It's easy to maintain. G. High quality accessories. The automatic brick making machine’s decelerator is famous Brand Decelerator, which is a very famous and high quality decelerator brand in China. H. Flex installation. 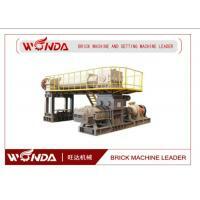 You can install this automatic brick making machine in different ways according to the room of your brick plant, which can help save room for you. 1. Sales person, project manager, technology engineer, accountant staff. 2. Pofessional responding team: would be very fastly and exactly to send you offer. 3. 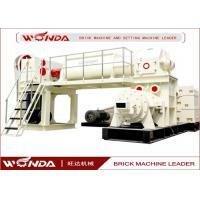 Choose suitable machines and make producing plan according to the raw materials, final shapes and output capacity. 4. Offer reasonbal price to meet your budget. 5. Invite customers to our factory, demostrate the machines, let you know how the machine work, and compare the quality with other suppliers. 6. 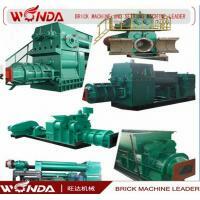 Producing super and solid quality of machines. 7. Arrange shipping and fastly delivery. 8. Standard export package or as your requirements. 1. Assistance to build factory. 2. Repairing and maintain if any problems occur in the warranty. 3. Help for installation or clerk training, if necessary, dispatch technicians to your country to install the machines. 4. Supply spare and wearing parts of our machines. 5. 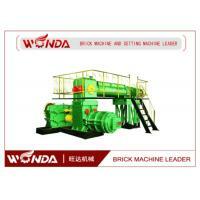 Any feedback of our automatic brick machine in india price can be told us, and we will try our best to support you. 6. Technology knowlogy shares with you. 7. Help for any other machine that we haven't. 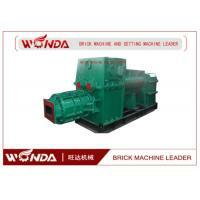 Founded in1972 , Wangda Machinery factory was formerly known as telecom tool works which belongs to Post and Telegraph Department of the Fourth Engineering company . It locates in Gongyi City and only 600 meters away from railway station. GongYi is a place with brilliant cultural background and outstanding people from ancient times , and was famous for military machinery many years ago . Along with social development and historical evolution , the Ministry of Civil Affairs has been listed Xiaoyi into the World Map during the intitial postliberation period .From Map Book . you can see this factory is neighboring to zhengzhou in the east , Luoyang in the west ShaoLin Temple in the west and Tellow River in the north . imperial mausoleums of the North Song Dynasty and Du Fu's native place can be seen in your leisure time. 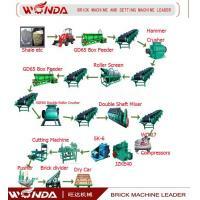 Focuses on research and development , manufacturing , as well as sales and after-sales service , Wanda Machinery adopts all the special features of other Manufactures in products design and makes great improvement for the common shortages of brick making machine . 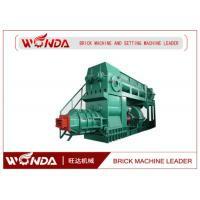 "WANGDA " brand has more than 20 varieties with more than 60 kinds of specifications. The main product--double Stage Vacuum Extruder has won the " National Famous Quality Products" "Quality Trust and Service Satisfaction Enterprise " , and other honorary titles , which is ideal brick making equipment of raw materials such as clay , shale,coal gangue and fly ash etc. Our products are deeply trusted by customers , have been sold in large amount to more than twenty provinces and municipalities and also exported to Kazakhstan , Mongolia , Russia , North Korea , Vietnam , Burma ,India , Bangladesh、and other countries.